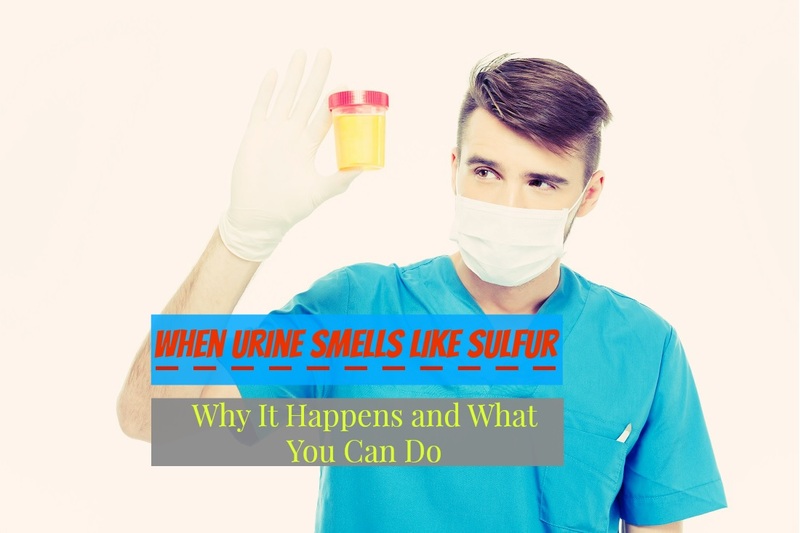 Home » Blog » When Urine Smells Like Sulfur – Why It Happens and What You Can Do? One simple indicator of a person’s health that doctors go by is the quality of their urine. It should be clear and odorless when there is no sign of an infection or disease present in the body. Sometimes, it might have a yellowish tinge to the color and a slightly stronger smell if a person has not had enough to drink though. Because of this, it can be a little scary for anyone who experiences any kind of major changes in their urine output that varies from this, such as a strong sulfur smell. So this article will address what this symptom can mean and some ways that the problem can be treated. So when it passes out of the body through the liquid waste, the odor goes along with it. Usually, the food will be completely out of the body in just one or two days if the amount of water that a person drinks is increased though. Then, the urine should return to its normal smell and appearance. Two foods that commonly cause the urine to smell like sulfur are garlic and asparagus. Luckily, while foul-smelling urine from diet changes might be embarrassing, it doesn’t pose any serious health consequences though. It also changes the odor of the liquid waste. Some people report a slightly sweet, sulfur-like smell each time that they go to the bathroom when they first get diagnosed with this condition. This is especially common in type two diabetes that isn’t under control, so it is one of the most serious causes of this condition to be concerned about. As bacteria multiply in the body, it gives off foul-smelling gases. These gases are released during urination. By the time that a person starts having sulfur-smelling urine because of an infection, it has usually spread though. If it reaches the bloodstream, it will be harder for a person to fight off on their own. When either of the kidneys stop functioning normally because of a disease or atrophy, they aren’t able to filter waste out of the body properly. This causes the urine to be more concentrated than it normally would. There are several different kidney problems that can cause this symptom. One of them is called “maple syrup disease.” It is a genetic disorder that makes it difficult for a person to process protein. Atrophic kidney disease is more common though. It occurs because of a reduction of the blood flowing to one of the kidneys because of a blocked artery or internal damage of some kind. There are several different medications that can cause the urine to smell bad too. For the most part, this isn’t problematic unless the end result is damage to the kidneys though. Once the antibiotics are discontinued, the symptom will disappear. The only two exceptions to this are in the cases of recent diet changes or the use of antibiotics since they pose no major problems to a person’s health. If someone has diabetes, they will also experience lethargy, muscle weakness, and cravings for carbohydrates because they are not producing enough insulin in their pancreas. Insulin is needed by the cells to open them up, so they can feed on the sugar. Excessive thirst and frequent urination are also common because the body is trying to flush out the extra sugar since it can’t absorb it into the cells properly. Infections can be identified first by the presence of a fever. As soon as the body detects the presence of a foreign type of virus or bacteria in the blood, it reacts by raising up the core temperature as a way of trying to kill it off through heat. Sometimes, this works. But if the bacteria multiplies multiply too quickly, it won’t be enough to destroy it. So other symptoms of back pain, frequent urination, and weakness will begin. Kidney disease can become life threatening if it isn’t treated. So any time that a person has urine that smells bad and looks like coffee, they should head to the doctor immediately, especially if they are experiencing lower back pain where the kidneys are located. This symptom is usually described by patients as a dull, throbbing sensation, which doesn’t get better with rest or over-the-counter pain medicine. The treatment plan for sulfur-smelling urine usually starts out with a doctor running some basic tests to determine what the cause of the problem is. The blood of a person will be checked for signs of an infection by looking at their white blood cell count. The body will naturally increase its production of white blood cells as a defense mechanism for fighting against foreign bacteria. So if the level is higher than it normally would be when there is no sign of infection present, then a course of antibiotics is started immediately. Next, the urine will be checked for color, odor, ketones, and protein deposits. This is especially helpful for diagnosing diabetes, which can only be treated by diet, exercise, and prescription medications for reducing blood sugar levels. An x-ray or sonogram of the kidneys might also be ordered to determine if they both look healthy. More often than not, kidney disease causes at least one of the kidneys to start shrinking, and this can be seen with imaging equipment. The course of treatment for this type of health problem is more serious because death can occur in a short period of time if the kidneys suddenly stop functioning. That means, dialysis is the only viable option available. Dialysis machines filter the waste out of the body for a person, so their kidneys can have time to heal. But this is usually done when only one kidney is damaged. In rare cases where both kidneys are bad, a person will be kept on a dialysis machine until they receive a kidney transplant. As soon as someone notices that their urine smells bad, the best thing to do is not panic. 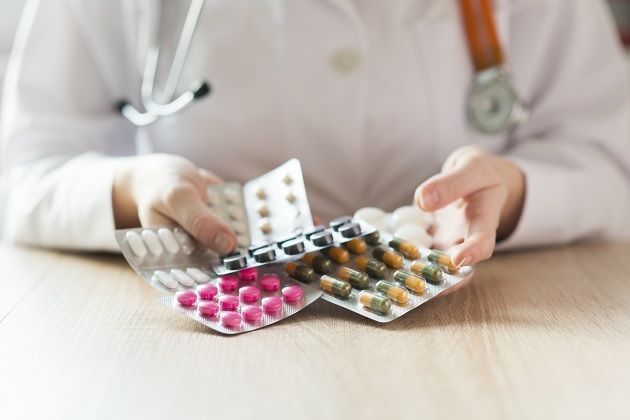 More often than not, it is simply occurring because of foul-smelling food that was eaten or medications that were prescribed by the doctor for treating other health conditions. The color, consistency, and odor of the urine should be written down on a paper for about 24 hours. A person’s water intake must be increased during this time to help flush out any bacteria that could be present. If the color and odor do not improve despite the extra fluid, then this is a sign that further medical attention is needed. Since sulfur-smelling urine is a sign of a more serious condition that requires urgent treatment, it is best to not wait to make an appointment with a doctor. It is especially urgent to seek medical attention if this symptom is being experienced in combination with a high fever, nausea, abdominal or back pain, and lethargy because these are signs of an infection. But the most serious symptom to be concerned about is coffee-colored urine. In this case, it is best to head to the nearest emergency room immediately. As you can see, there are a lot of different causes of urine that smells like sulfur. Most of them can be treated very easily. Start drinking extra water. This will help flush out the kidneys and bladder. Write down the consistency, color, and smell of the urine for at least 24 hours. Be sure to include the total number of trips to the bathroom that are needed during this time. If the smell does not improve after 24 hours, call the doctor to find out if any medications that are being taken could be to blame. You should make a doctor’s appointment if there is any sign that an infection could be present. Go straight to the emergency room if the odor seems to get worse or the color of the urine looks like coffee.